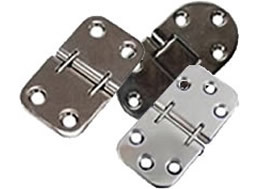 Monroe Hinge is one of the industry's largest manufacturer and distributors of industrial, residential and commercial hinges. We can provide related hardware and stampings and can offer our hinges in a diverse range of materials including: steel, galvanized steel, stainless steel, brass, aluminum, and bright stainless steel. 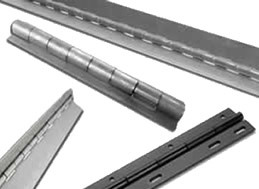 We are equipped to produce special and fabricated hinges and perform secondary operations including offsetting, tapping, staking, hole punching, notching, plating, anodizing and much more. 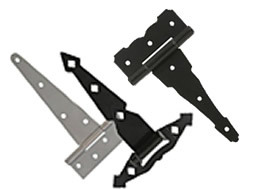 We can modify in-stock hinges to suit your needs and our custom manufacturing of one of our core competencies. Our reputation is largely based on our quality system that has been certified to meet ISO 9001:2015 and AS9100D standards to better serve our aerospace customers. We often work with our customers on APQP, PPAP, DFMEA, PFMEA and other customer quality requirements. We can manufacture piano hinges to your exact specifications and are equipped to produce special and fabricated hinges. 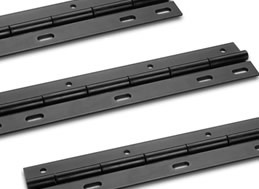 We offer every variety of mil-spec hinges and can supply special and specific hole patterns and special lengths. 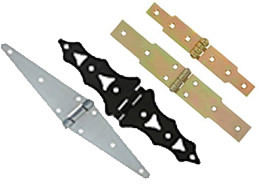 Strap hinges come in all styles and sizes and are used in many commercial and residential applications including for gates and doors. Marine Hinges are perfect for every application near water and are constructed entirely of stainless steel to fight against corrosion. 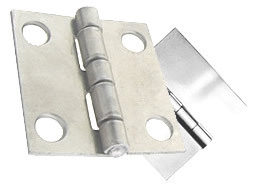 Are you looking for Hinge Product Line?